How do we change our password? Can we have multiple logins for our company page? We've forgotten the password. How do we log in? I've forgotten my password. How do I login? To change your password login to your account and click 'Edit profile'. Click the 'Change Password' button and add in your new password and confirm. From now on you can sign in with your new password. 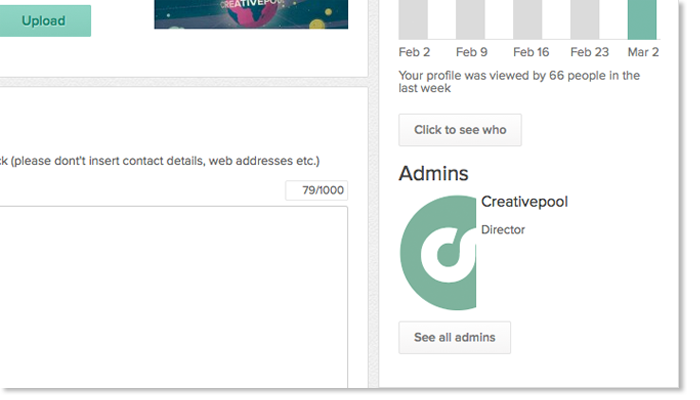 If you have more than one person that needs access to the Creativepool account, for example colleague from the HR department and another from the Marketing department this is easy to do. 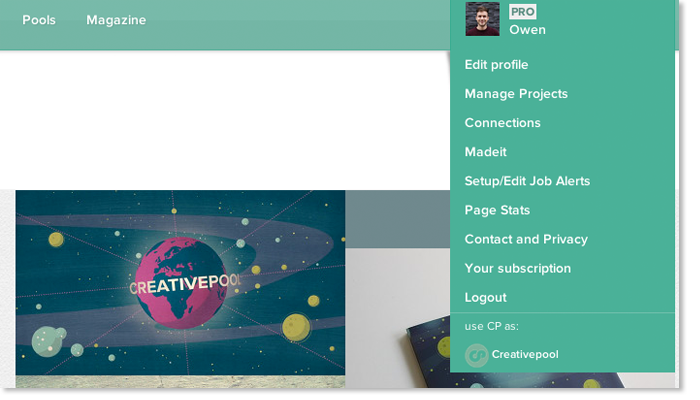 Hover over your company name at the top right and click 'Edit profile'. At the bottom right of the page you'll see the Admins section. This is where everyone that has access to your account will appear. Click the login button and then below the login form there is a Forgotten your password? link. Click this and enter the email address that you signed up with. An email will then be sent through to your inbox with details of how to reset your password. Still having problems getting into your account? Contact us and we will get you back up and running!